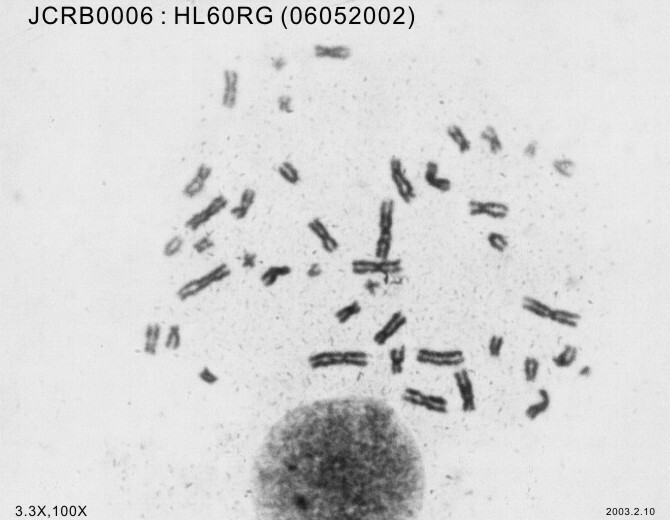 Subline of the HL60 having faster growth rate but the capabilities of the differentiation by TPA or etc were declined. 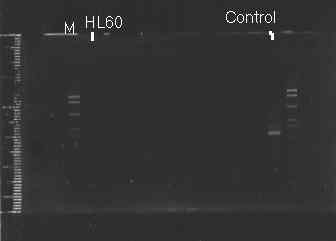 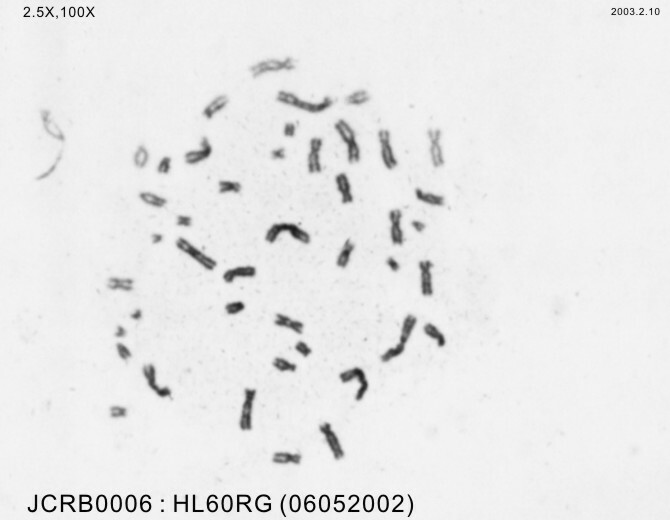 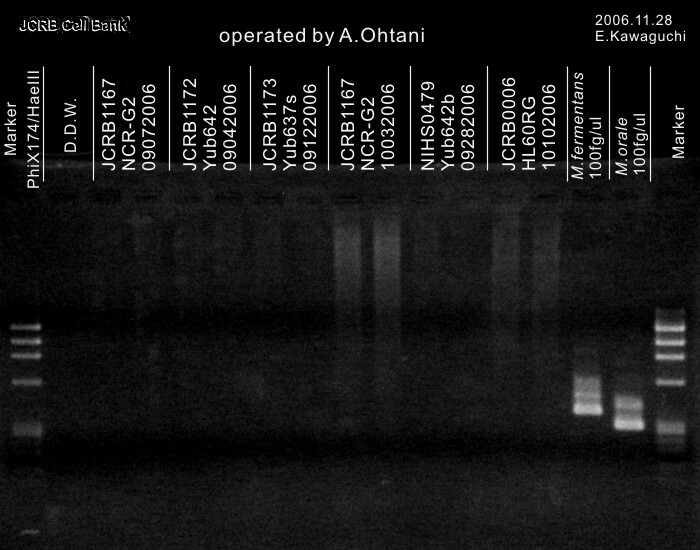 DNA prifiling of this cell line is same as HL60. 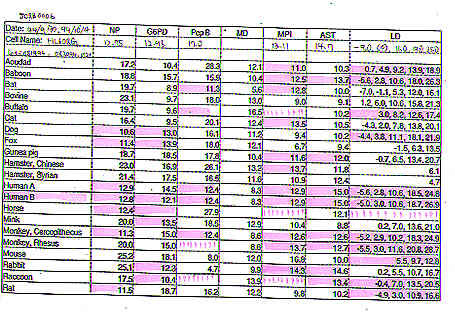 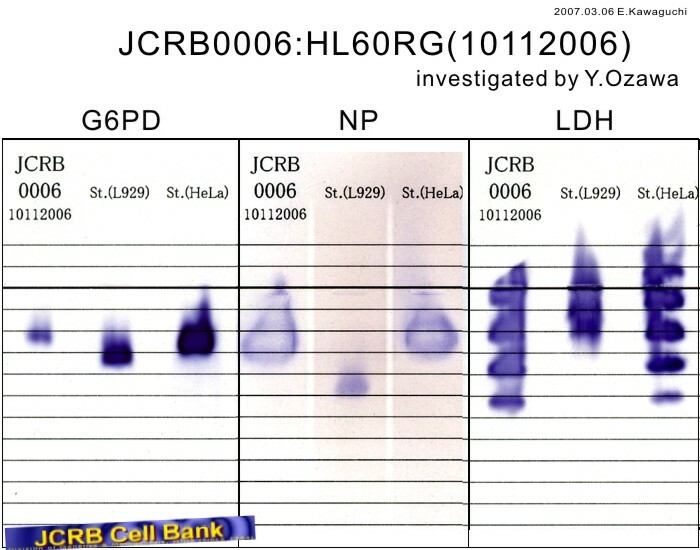 HL60 RG grow faster than HL60. 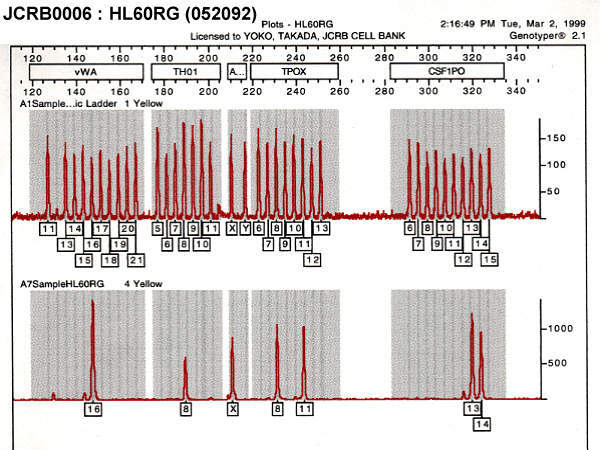 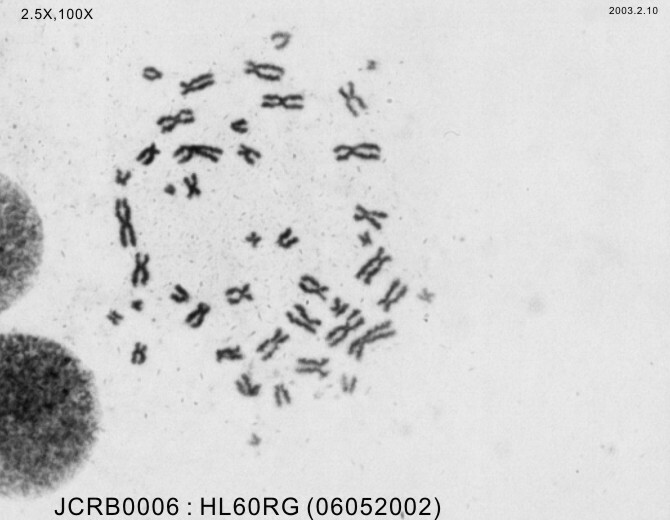 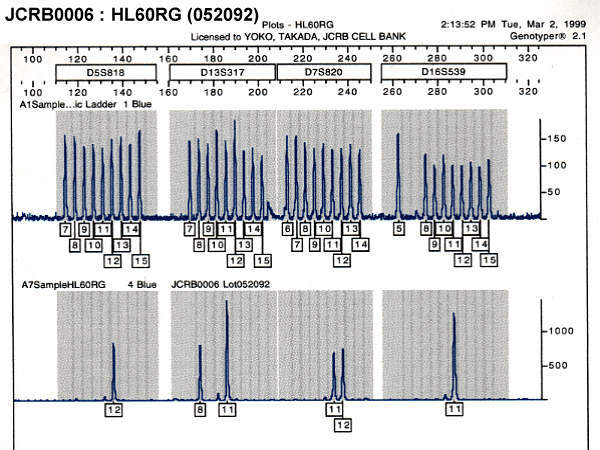 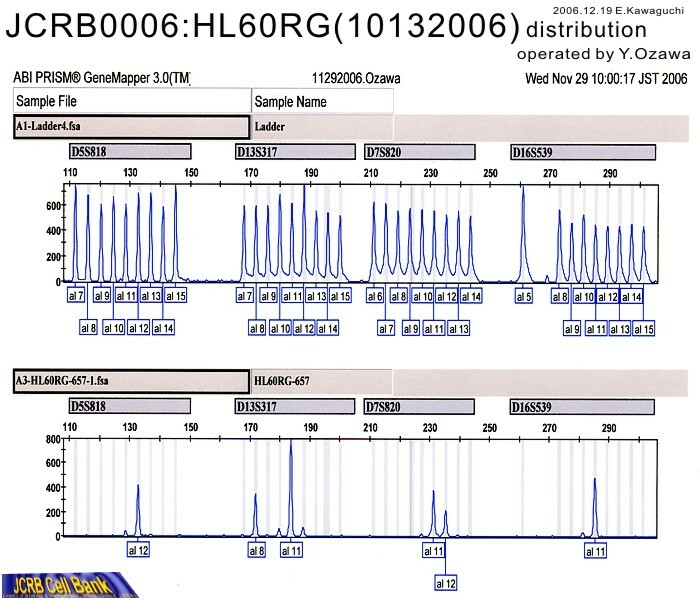 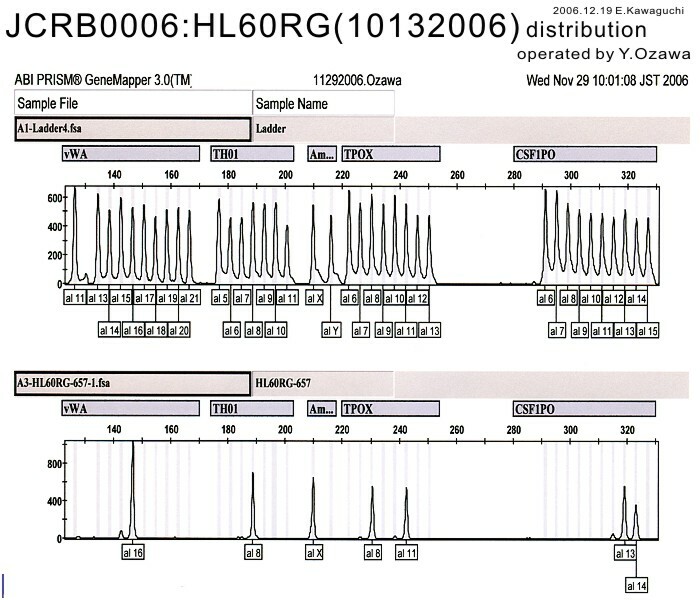 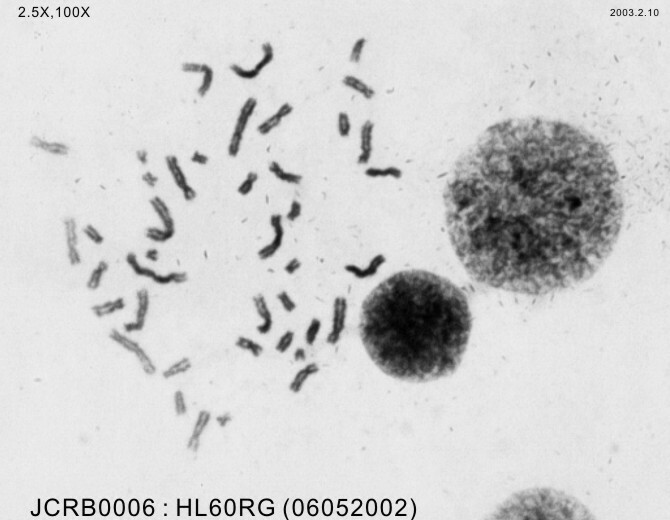 Characteristics of the differentiation observed in the HL60 was lost in this cell line. 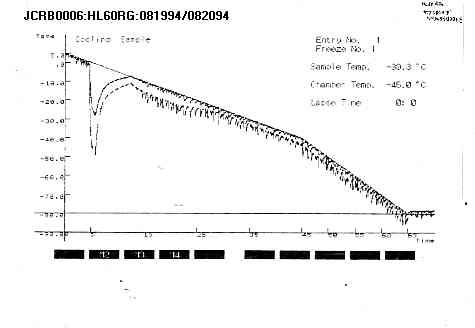 RG:rapid growth. 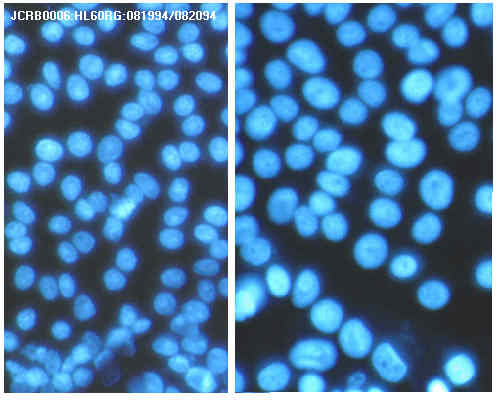 Ability for the differentiation by TPA or DMSO reduced. 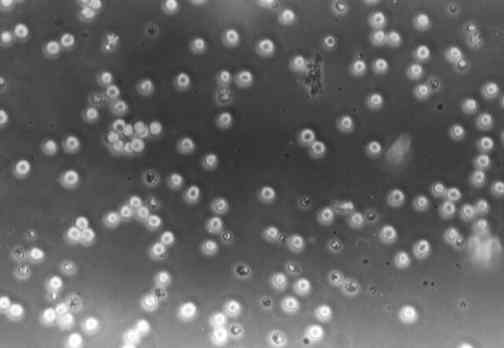 Fundamentals of chemotherapy of myeloid leukemia by induction of leukemia cell differentiation. 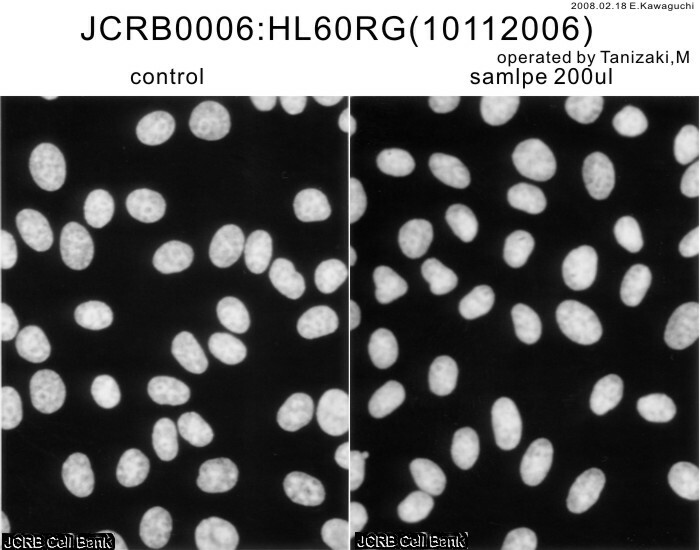 Induction of differentiation of the human promyelocytic leukemia cell line (HL-60) by retinoic acid. 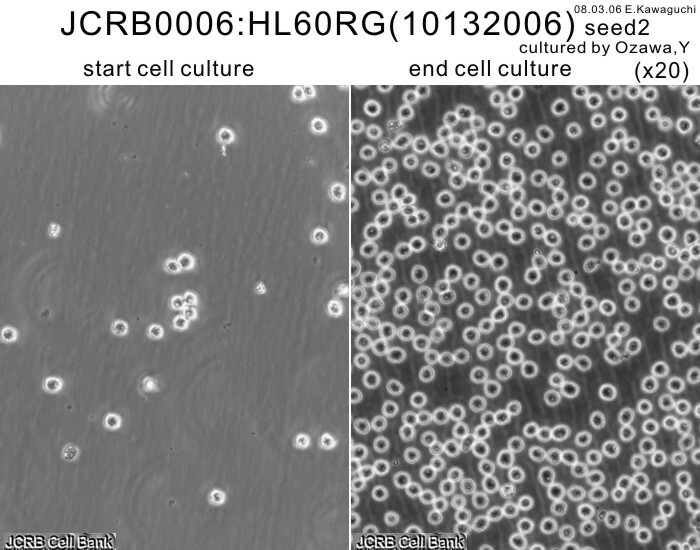 Induction of differentiation of cultured human promyelocytic leukemia cells by retinoids. 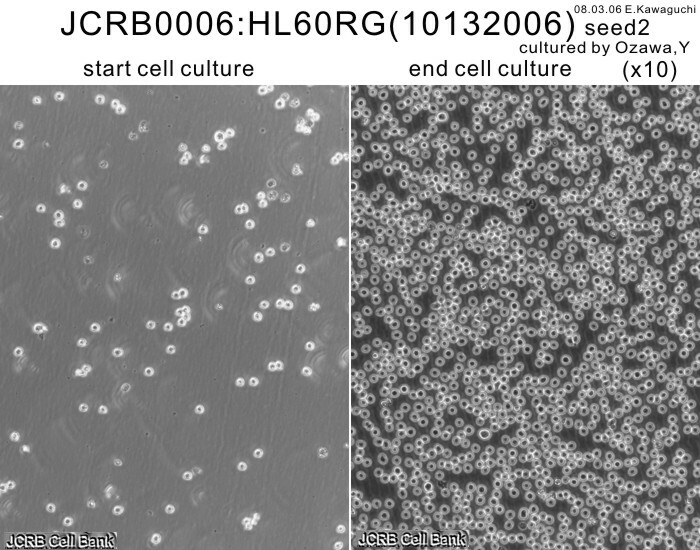 Continuous growth and differentiation of human myeloid leukaemic cells in suspension culture. 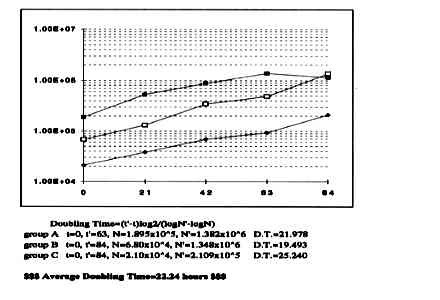 dilution, passage twice a week. 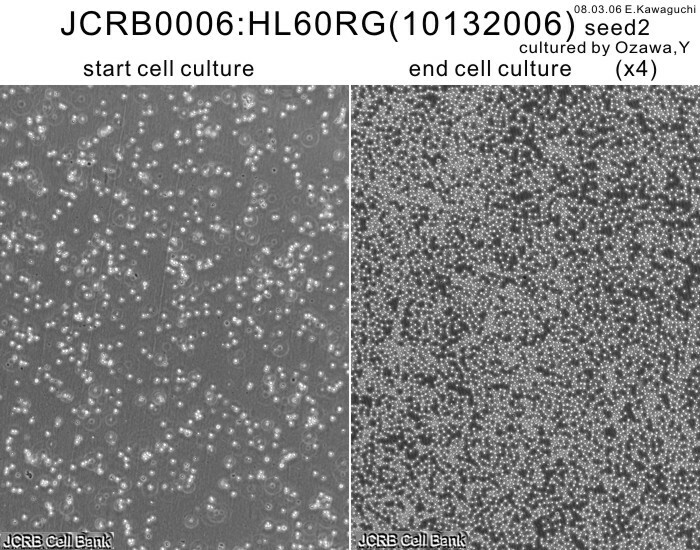 Suspend cells by pipetting into fresh medium.